Pot, Weed, Ganja, Grass...No matter what you call it, you’re talking about marijuana. Although about half of US teens have tried it before leaving high school, and many think that the drug is harmless, it’s not. It can be addictive and it also can ruin your life -- but many are in denial, thinking it's a harmless drug. Think about it. High school and college, is the time to be alert, motivated to attend classes and eager to build your life. One of the side effects of of the drug, does just the opposite. You lose motivation (amotivational syndrome). Studies have shown that some frequent users have demonstrated that they don’t care about their lives or their appearance. They have no desire to work regularly, are tired and sluggish and as a result, they do poorly in school or at work – and may drop out or get fired. This lack of motivation comes at a critical time in their lives. Some studies have shown that heavy or daily use of marijuana affects parts of the brain that control memory, attention and learning. 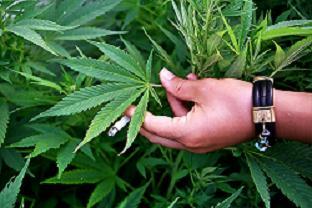 According to one study, teenagers who have prior antisocial problems prior to using pot, quickly become addicted. In the process, the user develops ‘tolerance’, meaning that you need larger amounts to have the same effect. Many driving skills are affected: alertness, concentration, coordination and reaction time. The drug can make it difficult to judge distances and react to signals and sounds on the road. These effects can last up to 24hrs after smoking and there are also symptoms of withdrawal: aggression, anxiety, stomach pain, and increased irritability during abstinence. Until recently, treatment programs that specifically focused on pot heads were hard to find. Treatment programs focus on counseling and group support systems. There are a number of programs especially designed to help young abusers. Family doctors can be a good source of information. Cognitive Behavioral Therapy, multi-systematic therapy, individual and group counseling and regular attendance at meetings and support groups such as Narcotics Anonymous have been found to be effective. I've found that individual counseling has been effective for cannabis use, particularly with teens. Counseling helps them develop new coping strategies for their problems, rather than resorting to drugs. It empowers young users to be assertive with their peers, if their friends use drugs. Through counseling the person develops new interests and along with that, new friends and a more positive outlook. The user also begins to see how school, and relationships with others have been affected by drug use and puts the focus on getting back to being their 'old selves'. One obstacle in treatment is denial, and with this drug, denial is huge because of the perception that it's harmless. As in all addictions, not everyone who uses gets hooked, but many do, and because teens begin using at a time when they should be focused on school, that pot can ruin their future. This drug is anything but harmless. Take a simple self test for marijuana and see if pot is creating a problem in your life. Don't use pot to take the edge off speed?